Kumawood Actor, Clement Bonney, known in showbiz as Mr Beautiful has admitted that, being sidelined by movie producers has affected him largely. 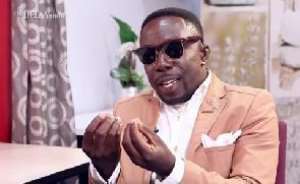 He told Kofi Adomaa on Kofi TV that the action by movie producers has denied his fans the chance to be entertained in the local movies. He noted that his sideline has equally affected the movie industry at large because it has reduced the quality of excitement a viewer needs to derive from watching the local movies. He said, “It has affected me because my fans don't have the chance to enjoy me and it has also affected movie productions because it has affected the quality content that viewers need to see”. Mr Beautiful added that the collapse of the movie industry should be blamed largely on the abysmal performance of the government followed by actors and producers. “The failure of the movie industry should be blamed on the Government and we as actors. 50% is from the government, 25% from both actors and actresses and 25% from production,” he explained. Mr Beautiful indicated movie producers can use stories from Ghana and South Africa in their movies to tell good and authentic stories for their audience but the movie producers in Ghana feel reluctant because they don't know how to package such stories.